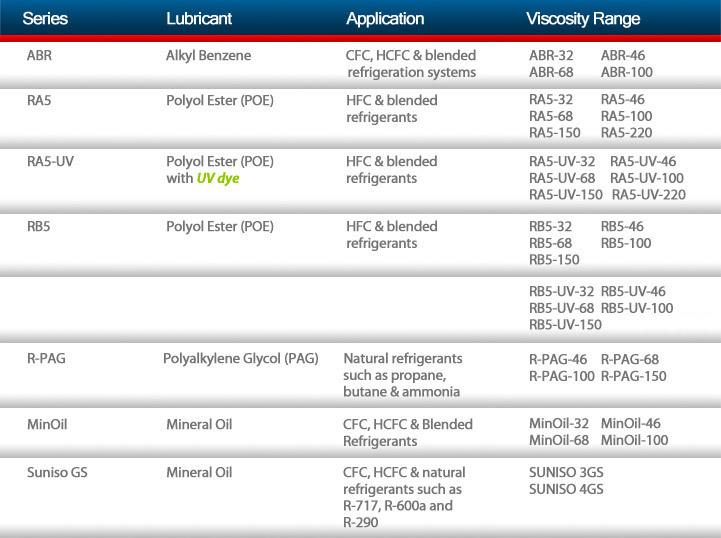 We offer high quality refrigeration lubricants, designed to meet or exceed all OEM specifications. Our product line includes all range of viscosities of Alkylbenzene, PolyAlkylene Glycol, Polyol Ester and Mineral Oils lubricants. 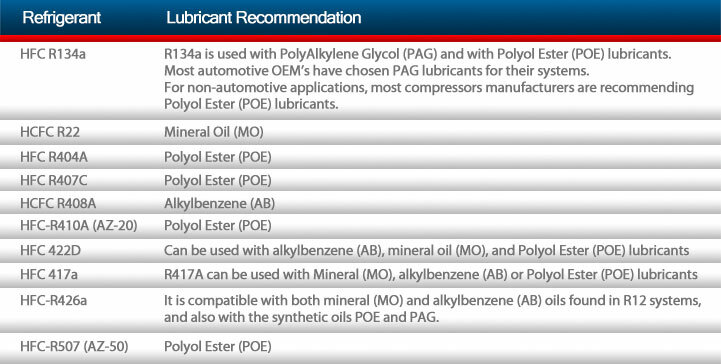 POE and PAG Lubricants with UV dye are available for leak detection.